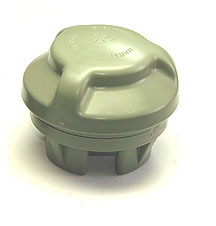 38.69.22S – B7 Valve supplied with same colour doubler, PVC or Hyplaon, doubler comes ready sanded. 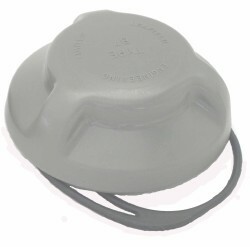 Large cap gives excellent grip in cold conditions. Easy inflation due to low back pressure. 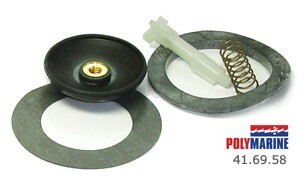 B7 Acetal Valve with Doubler – Black or Grey * B7 Valve * Supplied with black Hypalon doubler * Doubler ready sanded. Inflation is via a bellows end fitting which is a push-fit into the valve. anti-clockwise to lock the valve open. Turning the spindle clockwise returns the diaphragm to its seat and seals the valve. 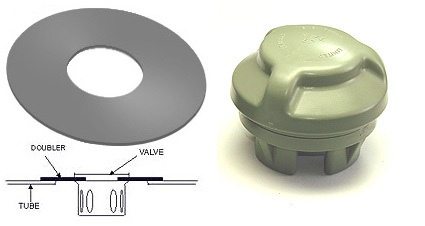 The B7 Valve is sometimes used instead of the newer C7, where operation at very low temperatures is required or where the valve needs to seal against the inside surface of the fabric.